York Risk Services Group today announced that Randy Thornton, who has served as the President of Risk Control for the past three years, has assumed the position of SVP of Client Services. In his new role, Randy will be responsible for all aspects of account management. York Risk Services Group (York), a premier provider of claims management, managed care, specialized loss adjusting, alternative risk programs, pool administration and other insurance services, today announced that Randy Thornton, who has served as the President of Risk Control for the past three years, has assumed the position of SVP of Client Services. In his new role, Randy will be responsible for all aspects of account management, and York’s account executives will report to him. Randy will report to Lou Keyes, Executive Vice President, Global Sales & Client Services. “Under Randy’s leadership, York Risk Control has grown its core business and diversified our overall risk control service offerings. Randy has built a strong team committed to delivering the best solutions and the best service for York customers. His experience makes him the ideal leader for York’s Client Services organization. 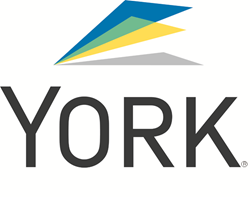 He will drive our success in being the partner of choice for our clients for York’s many products and services,” said Keyes. Prior to joining York in 2014, Thornton held a variety of leadership positions in underwriting, loss control and general management, most recently with a high-performing MGA and Lloyd’s of London syndicate. “I am excited to be working with a world-class team of account executives. New threats emerge every day. It’s our job to partner with our clients to help them understand the challenges their businesses face and to deliver multi-faceted custom solutions that help them manage and reduce both risk and the total cost of risk,” commented Thornton. Thornton earned a Bachelor of Science in Finance degree from the University of South Florida - College of Business Administration. He is also a graduate of the MSEC Executive Leadership Program.